RSM's Golf Blog: Team RSM and The RSM Classic – Websites, Twitter, LinkedIn and More! Team RSM and The RSM Classic – Websites, Twitter, LinkedIn and More! It’s hard to believe but it’s been more than eight years since we started this blog in conjunction with the inaugural RSM Classic! While we’ve enjoyed sharing news and information about Team RSM and The RSM Classic here with our readers, given the maturity of social media, and our growing follower base since 2010, we’ve decided to discontinue this blog. 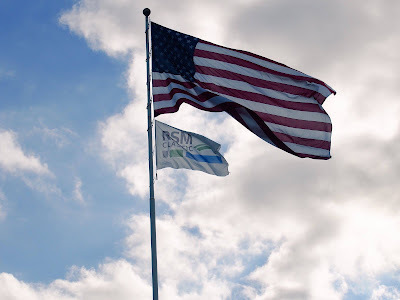 We’d like to encourage our readers to connect with us on our social channels and webpages to keep up with the latest on Team RSM and The RSM Classic! You can connect with The RSM Classic via Twitter, Facebook and the official RSM Classic webpage! Our adventure continues, with the 2018 RSM Classic scheduled for Nov. 12 – 18 at beautiful Sea Island – a place we’ve come to think of as our “home away from home.” We look forward to seeing you on our websites and social channels, and hope to see you at Sea Island in November!